As the world is becoming more and more unsustainable for human survival, it is best to incorporate eco friendly practices in our lifestyle. Any party or gathering is incomplete without cuisines and that is incomplete without desserts. Try adopting natural ways of serving your desserts and one such solution offered are eco friendly ice creams cups. Our range of ice cream cups consist of ice cream bowls and ice cream oval cups, both of which are made from coconut shells. 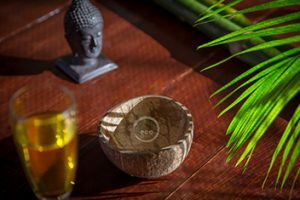 The pulp of the coconut is removed and the shells are well polished, treated and washed properly so that it is devoid of odour and bacteria secretion. These shells are then dried in a natural manner, so that it remains hygienic and dust-free till it reaches the end consumer. The ice cream cups come along with spoons which are again made from the coconut shell and undergo the same process. 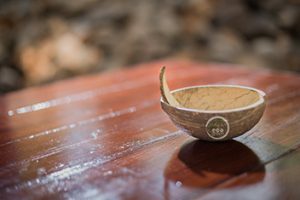 Coconut shell ice cream cups serve as the best alternative for eco friendly organisations that are looking to reduce their carbon footprint on mater nature.